Happy Valentine’s Day – and on that note, this is without a doubt, the easiest, dare I say, healthiest (? 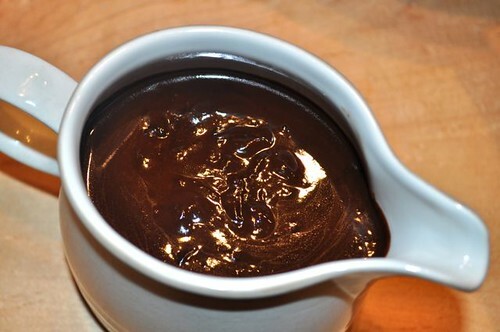 ), most straight forward, versatile chocolate sauce ever! 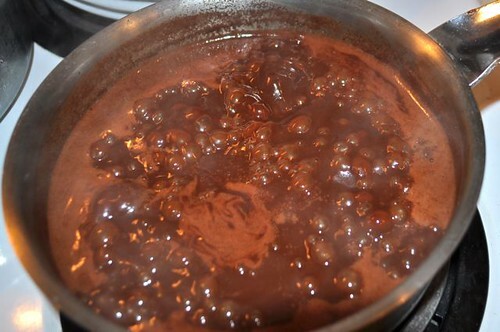 If there ever was a face for less is more, this chocolate sauce would be on the poster. What exactly do I mean by that? 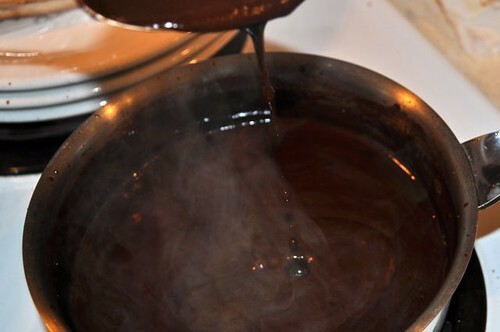 Well – how about no butter, no cream, no eggs, no corn starch, no corn syrup (thankfully), no double boiler, no single boiler, no fretting, no fussing, no fighting, my friend – a complete and utter, asleep-at-the-switch, no-brainer of a chocolate sauce! This recipe is the launching pad for a thousand sauces – like Helen of Troy commandeered a few ships, this sauce will hold its own in the hijack department. So, without further adieu, let’s make the purebred so we can make the hybrid – I’ll get you going in the hybrid department below, but really – what doesn’t go with chocolate? 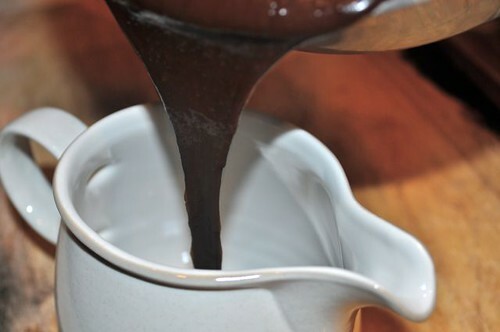 There are as many ways to make chocolate sauce as there are to becoming stinking rich – so in the name of getting rich in the kitchen – chocolate sauce can now be a staple in the fridge like ketchup, mayo and mustard – with no guilt, a shelf-life way beyond what’s necessary (you’ll consume it way before you need to) and with the many ways to doctor it, this is is now another recipe you can move to the “mastered it” column. Who knew? 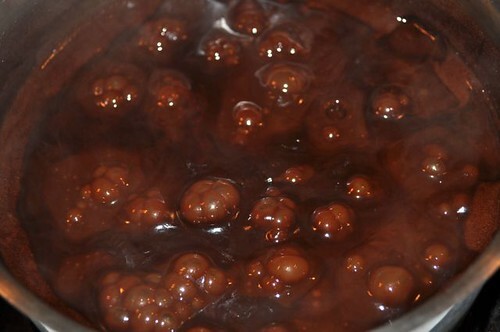 Really – water, sugar & chocolate – this will go down for generations to come! Your welcome. 1. Boil a cup and a half of water – stay with me now. 2. 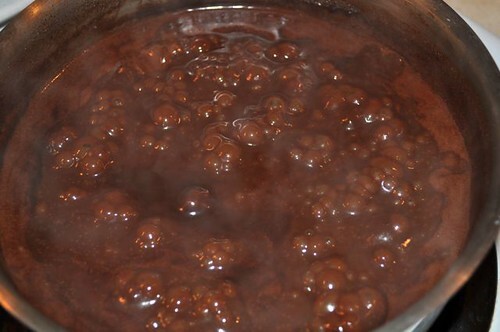 Roll in the chocolate squares. 3. They’ll start to melt. 4. 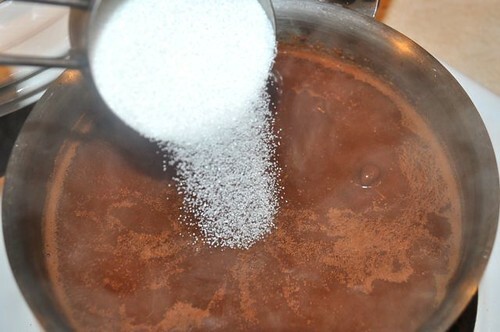 Add the sugar and give it a good stir. 5. 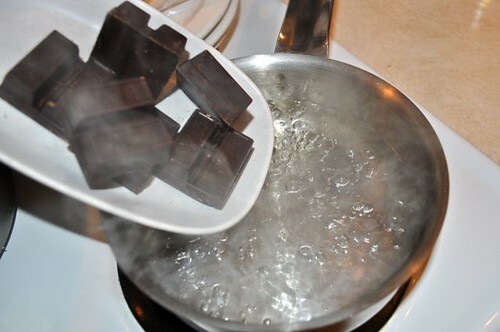 Bring to a boil and leave it there for 5-8/10 minutes. Add a pinch of salt at this point – a critical ingredient! 6. Gorgeous is pulling up in a limo. 7. Gorgeous is entering the building. 8. Gorgeous needs a moment to relax. 9. Gorgeous is getting ready to bust out. 3. 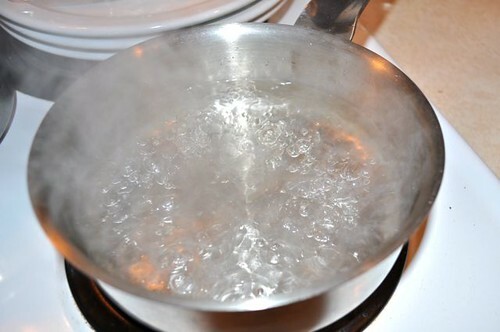 Stir and let boil for 5-10 minutes. 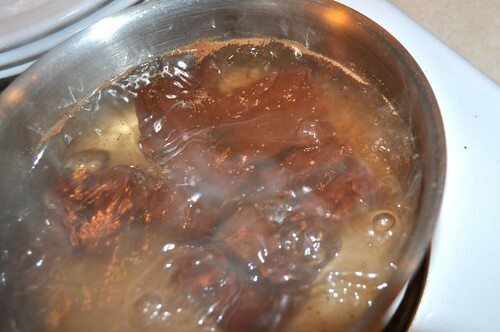 The longer it boils the thicker it will get, and if you need to thin it, that’s right – add water. Bring off the heat and store in a jar in the fridge (if it makes it that far).